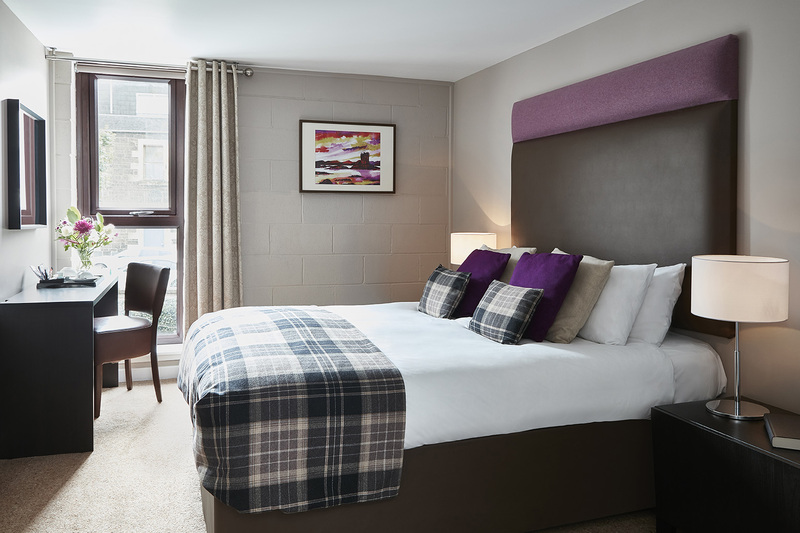 We have 17 en-suite guest rooms at The Ranald Hotel, ranging from Compact, Standard, Grand to Grand Plus! 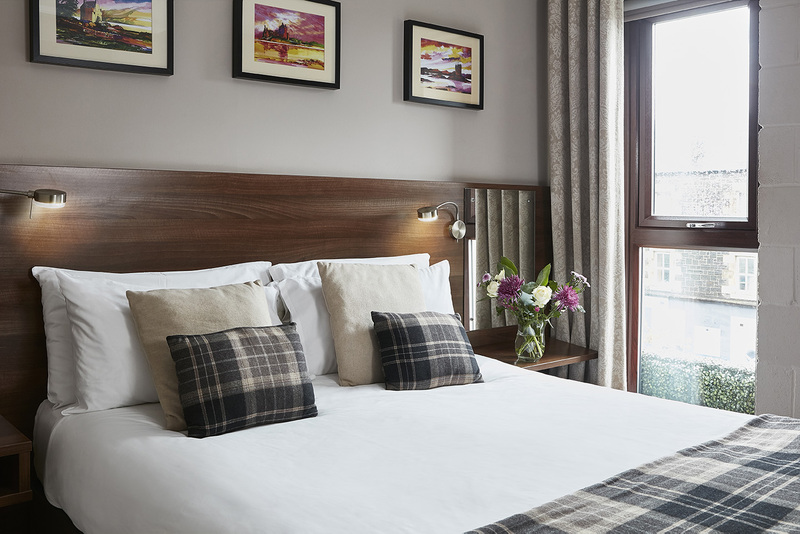 All our rooms contain en-suite showers, comfortable king or super king size beds, duck down pillows as well as complimentary WiFi, tea and coffee making facilities, hair dryers and flat screen TVs with freeview. 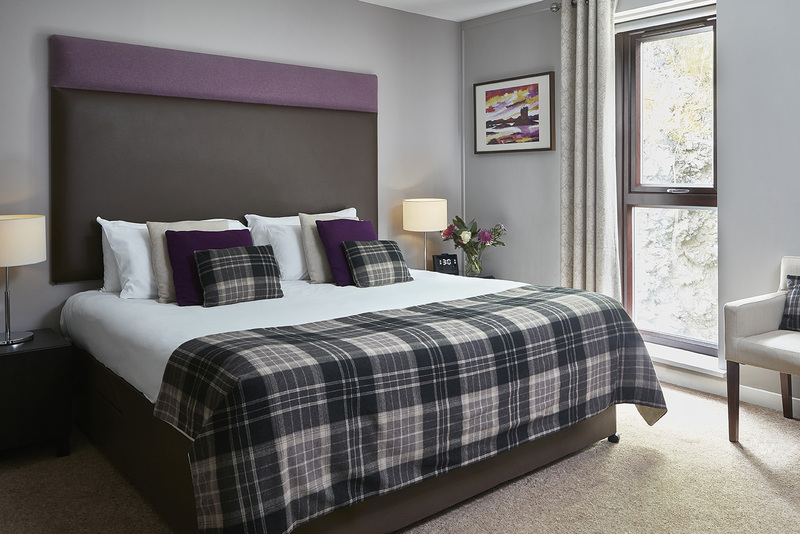 The Ranald Hotel offers one ground floor disabled access super king size guest room. Please be aware that there is no lift in The Ranald Hotel, however our staff are always on hand to help with luggage. If you would prefer a room on a lower floor, please let our staff know at the time of booking and we will do our best to accommodate you on the lower levels of the hotel where possible. However please note that we cannot always accommodate these requests. With regret, we do not permit pets in the hotel at any time. We can also provide cots* and extra beds** on request in some of our rooms subject to supplements. Please enquire at the time of booking to ensure we can accommodate your requests on your preferred dates. Telephone reservations are taken between 9.30am and 10.30pm daily. Please note check in is between 3pm and 11pm daily. If you are due to arrive after 11pm, please let us know at the time of booking or call us on 01631 562887. Check out is 11.00am daily. Early check in or late check out may incur a surcharge. Please let us know at the time of booking in you have any allergies or intolerances and we will do our best to accommodate any requests. *Only available in our Standard, Grand & Grand Plus Rooms. **Only available in our Grand & Grand Plus Rooms. Unfortunately neither our grand or grand plus rooms offer a street view. Please be aware that full payment will be taken at the time of booking. Refunds are available subject to terms and conditions. 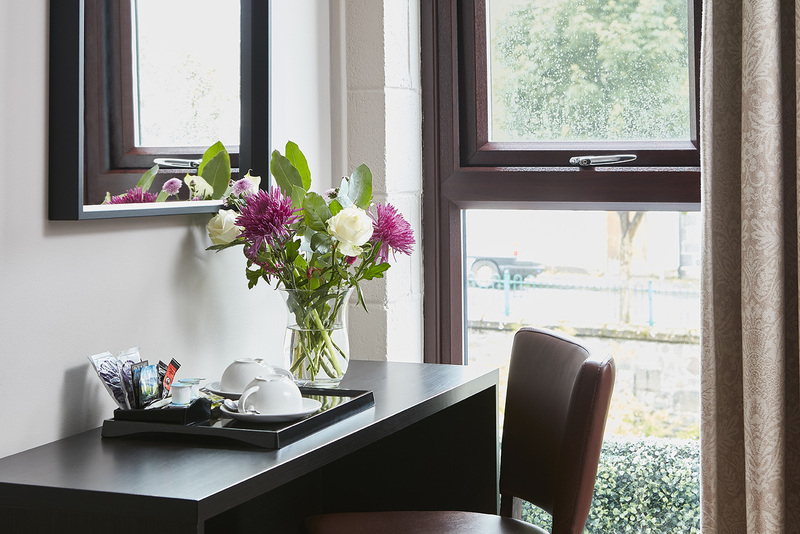 If you’re looking for a one night stopover, our Compact Rooms are ideal! Looking for a little more space than our compact room offers? Our Standard Rooms are just the ticket. If you’re holidaying in Oban for more than a couple of nights, our Grand Rooms are the choice for you. For more space or to accommodate more than 3 people, our Grand Plus Rooms are just the ticket!